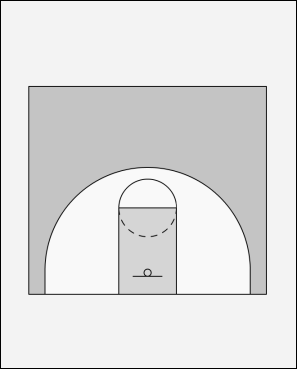 2 and 3 set a screen for 4 and 5. 1 has 2 passing options to 4 or 5. After setting the screens 2 and 3 return to their original positions. 1 has now 4 passing options, in this case 1 passes to 4. 1 sets an on ball screen, 4 uses the screen and takes the shot.